wearing them for increasing lengths of time. how to start a project or assignment. there are other girls to talk to. non-structured times, also with organization skills. keep up with a conversation with her peers. home so she can fit in more. act in public and “pretend” to be normal. be allowed to completely be herself at home. I was put in dance class when I would rather have ridden horses. Eventually I escaped the dance and got horseback riding lessons. Well today I want to write and tell you about the fun and slightly crazy interview that I carried out a little while ago with Penelope Trunk on the topic of Asperger’s and relationships. First by way of introduction Penelope is the mom to a child on the spectrum, is a serial entrepreneur and has an adult diagnosis of Asperger’s. She is a very successful and inspirational woman when it comes to achievements in the world of business. I interviewed Penelope from my pc here in the UK (with a head set and Skype recording program) whilst she was on her mobile phone – about doing her daily business. During the interview I lost connection several times, Penelope was at the play park with her children, and then went grocery shopping too! And to top that she even had a huge tirade at me about the way my email support desk was set up! If you remember in the past if you tried to contact me via email you would get an automatic email back and Penelope (quite rightly) took me to task about what an inefficient way of communicating this was. 1. Social rules – From Penelope’s perspective so many basic social rules are pointless and she is embarrassed to follow them as they appear so false. But she still often won’t do this as she feels that neither person is really that concerned about how the other is, they are just following a social rule that she feels is pointless. And Penelope says he actually feels embarrassed following this rule as it appears so false. 2. Self-regulation – Penelope said that a big challenge is to stop herself from having a tirade when she feels that something is not done correctly. For example – In her local library the book indexing is not done correctly. And every time Penelope goes in the library she has to make a huge effort not to get into a heated exchange with the librarian about this issue. Again Penelope knows that such an argument would be inappropriate, yet it is still a struggle for her to prevent her taking this action. 3. Social cues – Penelope feels that social cues are the one area that people with Asperger’s REALLY struggle to cope with. Other issues like light sensitivity, issue with food etc. are much less of an issue – as they impact on the person with Asperger’s and not those around them. Whereas poor reading of social cues can upset others and make you appear offhand, strange or aggressive. So people can take an instant dislike to you – if they don’t have an understanding of this area. And interestingly Penelope said that over time she has developed the understanding and ability to use social cues but… If or example the sun is shining directly into her eyes – this ability is lost as she is totally taken up with the light sensitive issue. 4. Executive functioning – Penelope said that it still amazes her to this day how most children can get to gym class on time at school. This was a huge struggle for her in school, and she feels it would still be today. The whole concept that must of us take for granted such as “how to get to gym” “how to get there io time” “ how to know what to bring” etc. are all big challenges because of issues with organisation and executive functioning. Penelope’s insights really gave me a look into how things are for people with Asperger’s and provided a valuable “insider” view. I hope they’ve been helpful for you. … all for just $1! But I really cannot keep this offer open too much longer. The time, effort and costs of producing these exclusive parenting resources means that I am quite literally “giving them away” at such a low price. So fair warning – this offer will not be around for long. At most it will stay up for 12 days, but it may be less. Daughter with Aspergers is talking back to her parents and disrespectful, what can we do? Children get to a point in their lives where they try to gain their independence, and they have trouble getting along with others in the process. It is not a surprise that your daughter is disrespecting you all and talking back as well. You all need to put this behavior to a stop immediately before she gets out of control. 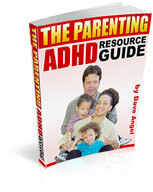 Even though she has Aspergers, she can be taught how to behave correctly with her parents. It is never a good idea to put up with this type of behavior from a child. Follow these tips to get your daughters behavior back on track. Talk to your daughter one-on-one. The first step that you all should take is to have a straight talk with your daughter. Ask her questions about what is causing her to behavior in the manner in which she does. Try to pinpoint the problem and find solutions other than talking back and disrespecting others. Ask your daughter what she needs from the two of you to get her behavior on track. Hopefully, she feels comfortable enough with the two of you to open up about what is going on to make her behave the way that she does. Use a behavior contract to change the behavior. A behavior contract is to the point and there can be no misunderstandings about what is expected of the parties involved and what the consequences will be for misbehavior. Make sure that the contract has multiple steps that must be reached before something in taken away from your daughter. Make sure that you discuss the consequences with your daughter before beginning the contract. Also, make sure that you have a discussion with her each time she breaks a rule of the contract so that she understands what will happen the next time she misbehaves. Assess your responses to her behavior. The two of you may be your own worst enemy. Make sure that the two of you are not rewarding her when she misbehaves. Some parents do not want to deal with the bad behaviors and meltdowns so they just give in to their children and let them have what they want—even when they continue to misbehave. This is never a good idea. Stand your ground with your daughter. Enroll your daughter in counseling. This may be a good idea if you two cannot handle the issue on your own. Your daughter may feel more comfortable opening up to someone else if she is experiencing issues in her personal life. Make sure that you all hang in there with your daughter until her behavior changes. Stand your ground when you punish your daughter so that she does not receive mixed messages from the two of you. Can you tell me more about Aspergers in girls and how they present and differ from boys? Asperger’s in girls is a significantly different from that in boys. For a long time, girls were not as likely to receive the diagnosis of Autism or Asperger‘s Syndrome. Far more boys still receive the Autism diagnosis, leaving girls without as much support at school, and without as much help to cope with life. Here are a few of the distinct differences of symptoms and characteristics between boys and girls with Asperger’s Syndrome. Single obsessive interests are more often observed in boys. Aggressive behavior and meltdowns due to frustration are very common in boys. Boys tease other boys with weaknesses rather than show support. Boys with Asperger’s are less likely to show emotion. Boys show less desire for friendships. The desire may be there under the surface, but it usually matches closely with ability. Boys are more likely to have major sensory and motor skills deficiencies. Overall, boys are more severely affected by Asperger’s than girls are. Girls tend to have a wider variety of obsessive interests. Girls are more passive and less likely to show aggressive behaviors and meltdowns. Girls are more likely to support other girls despite their obvious weaknesses. Girls are more likely to imitate others’ emotions and social skills than boys are. Girls show more desire for friendships and social interactions. Girls are usually less affected by gross motor skills & sensory systems deficiencies. Overall, girls usually have milder symptoms of Asperger’s Syndrome. Of course, not all cases of Asperger’s in girls will follow these guidelines. Children with Asperger’s are individuals with their own specific strengths and weaknesses. There are girls with Asperger’s who are severely socially unable, who have tremendous sensory integration problems and very weak gross motor skills. However, the majority of girls with Asperger’s do present on the milder side of the spectrum. The book “Girls Under the Umbrella of Autism Spectrum Disorders: Practical Solutions for Addressing Everyday Challenges,” by Lori Ernsperger, Ph.D., and Danielle Wendel, offers practical advice for parents of girls on the Autism spectrum of all ages and abilities. This practical resource highlights research-based strategies for addressing the specific characteristics of girls with Autism. Of course, not all cases of Asperger’s in girls will follow these guidelines. Children with Asperger’s are individuals with their own specific strengths and weaknesses. There are girls with Asperger’s who are severely socially unable, who have tremendous sensory integration problems and very weak gross motor skills. However, the majority of girls with Asperger’s do present on the milder side of the spectrum. Aspergers in girls is a significantly different from that in boys. For a long time, girls were not as likely to receive the diagnosis of Autism or Aspergers Syndrome. Far more boys still receive the Autism diagnosis, leaving girls without as much support at school, and without as much help to cope with life. Here are a few of the distinct differences of symptoms and characteristics between boys and girls with Aspergers Syndrome. * Single obsessive interests are more often observed in boys. * Aggressive behavior and meltdowns due to frustration are very common in boys. * Boys tease other boys with weaknesses rather than show support. * Boys with Aspergers are less likely to show emotion. * Boys show less desire for friendships. The desire may be there under the surface, but it usually matches closely with ability. * Boys are more likely to have major sensory and motor skills deficiencies. * Overall, boys are more severely affected by Asperger’s than girls are. * Girls tend to have a wider variety of obsessive interests. * Girls are more passive and less likely to show aggressive behaviors and meltdowns. * Girls are more likely to support other girls despite their obvious weaknesses. * Girls are more likely to imitate others’ emotions and social skills than boys are. * Girls show more desire for friendships and social interactions. * Girls are usually less affected by gross motor skills & sensory systems deficiencies. * Overall, girls usually have milder symptoms of Aspergers Syndrome. Of course, not all cases of Aspergers in girls will follow these guidelines. Children with Aspergers are individuals with their own specific strengths and weaknesses. There are girls with Aspergers who are severely socially unable, who have tremendous sensory integration problems and very weak gross motor skills. However, the majority of girls with Aspergers do present on the milder side of the spectrum. The book “Girls Under the Umbrella of Autism Spectrum Disorders: Practical Solutions for Addressing Everyday Challenges,” by Lori Ernsperger, Ph.D., and Danielle Wendel, offers practical advice for parents of girls on the Autism spectrum of all ages and abilities. This practical resource highlights research-based strategies for addressing the specific characteristics of girls with Autism. Do you have any tips for teenage girls with Aspergers in schooling and coping with life? The key to helping your girl cope with the symptoms of Asperger’s is to offer as much support and treatment as possible. Knowing she is not alone is a good place to start when offering support. The book “Middle School: The Stuff Nobody Tells You About – A Teenage Girl with High-Functioning Autism Shares Her Experiences,” by Haley Moss, is written by a teen for other teens. Haley writes about her middle school experiences and how having high functioning Autism affected those experiences. This is just one available resource to use to help her see that other girls are living and thriving with Asperger’s Syndrome. Search the Internet, public library, local bookstores, and your community Autism support group for additional resources. Treatment options for girls with Asperger’s Syndrome vary widely. Less likely to need extensive drug therapies and sensory integration therapies, most girls with Asperger’s are able to concentrate on learning the social skills, self-care, and daily independent living skills necessary to becoming a successful, independent adult. However, girls are more likely to accept and appreciate the one-on-one of independent counseling. Once you have evaluated your daughter’s specific needs, you may opt for any of the following assistance. * Social skills training can be covered by therapy or by utilizing personal interests. For instance, joining a club that is geared to her special interest will give your daughter an avenue in which to develop her social skills and her knowledge of her special interest. * Individual counseling can be helpful for reducing anxiety and depression. Talking about this anxiety with a trained professional can make a big difference. * Neurological testing and medications may be needed in some cases. Medications, when needed, can reduce symptoms, as well as stress, anxiety, hyperactivity, and depression. * Cognitive-behavioral therapy, with a professional therapist or using resources at home, can help your daughter learn about the feelings, emotions, and behavior connection. * Coping skills can be taught at home or with a private therapist. Learning ways to cope with the weaknesses will enhance the strengths your daughter displays. For most girls with Asperger’s, learning to cope with the diagnosis and the characteristics are the two biggest obstacles. Girls are more likely to develop long-lasting friendships and a complete social circle, than boys are. Once these obstacles are met, girls are usually able to create the support system they need in spite of their reduced social abilities and go on to live productive, independent lives.